Savi, a leading provider of wireless supply chain and asset management solutions, today announced Savi SmartChain® software solutions customized for optimizing operations in the oil and gas, chemical and defense supplier industries. Savi, a Lockheed Martin [NYSE: LMT] company and leading provider of wireless supply chain and asset management solutions for the largest organizations worldwide, today announced Savi SmartChain® software solutions customized for optimizing operations in the oil and gas, chemicals and defense supplier industries. Transportation and distribution (downstream) sector of the chemicals industry, where Savi information helps users to safely contain, load, transport and distribute products all over the world. Exploration and production (upstream) sector of the oil and gas industry, where Savi helps supply chain operations to safely search for, recover and produce crude oil and natural gas. Supplier sector of the aerospace and defense industry, where Savi helps manufacturers to safely deploy complex weapons, supply and support systems for departments of defense worldwide. With SmartChain, operational supplies and equipment can be automatically identified, located and managed while they are moved one place to another. As a result, customers can expect to reduce the cost of asset management, improve readiness, achieve greater business confidence, and reduce the number of unexpected, unplanned or unpredicted operational events. Executives in the above industries who are uncertain about the location of their assets, uncomfortable with the state of their asset management systems, or concerned about the potential for a business-debilitating operational failure can get more information at SaviVideos. As a wholly owned subsidiary of Lockheed Martin Savi is a leading provider of supply chain information and technology solutions and services. These capabilities include real-time solutions based on active Radio Frequency Identification (RFID) and other Automatic Identification and Data Capture technologies that improve the visibility, management and security of supply chain assets, shipments and consignments. For more information, visit http://www.savi.com. Headquartered in Bethesda, Md., Lockheed Martin is a global security company that employs about 140,000 people worldwide and is principally engaged in the research, design, development, manufacture, integration and sustainment of advanced technology systems, products and services. The Corporation reported 2008 sales of $42.7 billion. 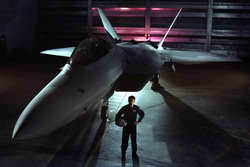 For additional information, visit http://www.lockheedmartin.com.